Electric vehicles are now seen as the future of the auto industry, but the latest EV on the block is a bit too small to carry passengers. Scientists led by Ben Feringa of the University of Groningen have developed the world’s small electric car– a single molecule with four motors. Nanocars have been created before, but they’ve been propelled by scanning microscopes, light, or heat, rather than electricity. 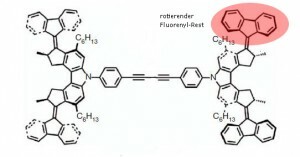 Feringa’s team had previously developed molecular motors, so they attached four such motors to a synthetic molecule. When electrons are fired at the car (no batteries needed! 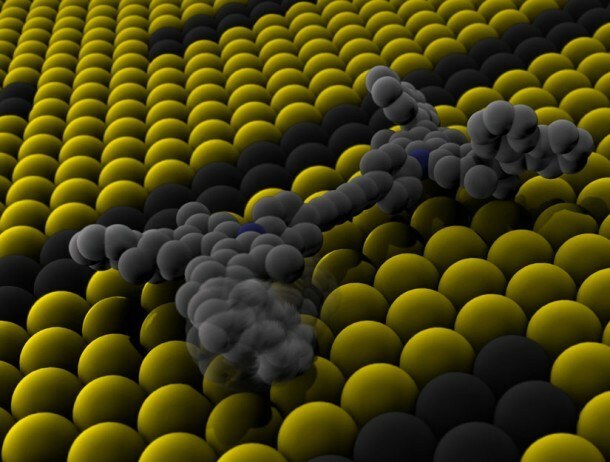 ), the molecular motors change shape, pushing the nanocar forward across a copper surface. Since the four wheels are propelled independently, the car can be steered as well. The system is run at low temperatures in a vacuum to keep the molecules at rest — otherwise they’d move around naturally. Eventually, Feringa’s team aims to be able to control the vehicle at room temperature and have it travel longer distances. This could lead to the development of more complex nanomachines in the future. 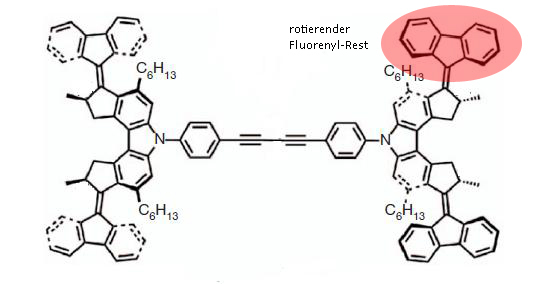 Interestingly, some of the nanocar’s features may come to full-size EVs in the near future. Independent wheel hub motors are over a century old (and powered Ferdinand Porsche‘s first car in 1900), but may finally hit production in a few years’ time. At the same time, research efforts are focusing on wireless power transmission– imagine electrified highways that bypass local battery storage entirely. It may not work at room temperature yet, but it seems this nanocar does have today’s macro-cars beat in a few areas.